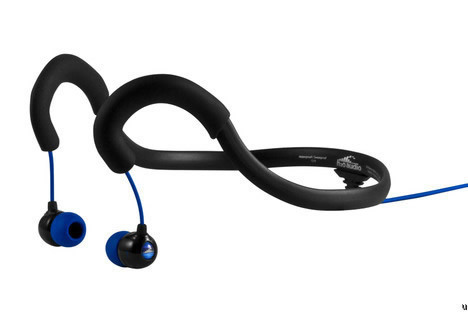 X1 Waterproof Headphones Surge Sportwrap Neckband. Swimmer Ltd.
A well researched practical new design of waterproof heaphones from X1 thats allows you to play in the pounding surf, raging rivers or wind swept open ocean reaches with complete confidence. The Surge Sportwrap neckband actively manages the waterproof headphone cables and provides stability. The watertight earplugs harness the full range audio experience provided by Surge's 8mm powerful neodymium drivers giving outstanding clarity and dynamic bass response with 5mw sound output. Because Surge Sportwrap’s waterproof headphones are not rigidly held in the neckband, movement will not transfer easily to the headphones, keeping the watertight seal created by the earplugs intact. 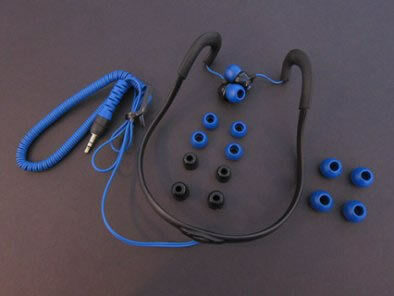 Moreover the flexible neckband helps hold the headphones in place without creating pressure points on your head. The over-ear portion of the neckband is wrapped in a soft, pliable Elastomer for added comfort and grip. A comfortable secure personalized fit waterproof to 12ft underwater. Includes 5 sets of Elastomer earplugs (XS-XL) and 2 sets of Foam earplugs (S/M and M/L) to ensure a secure and comfortable fit. 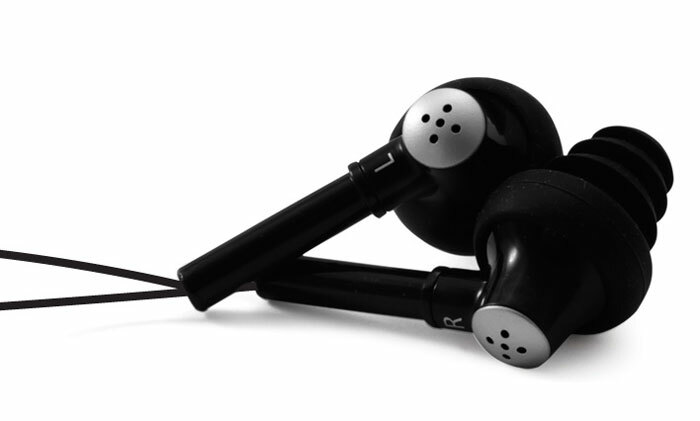 Comes with both mushroom and conical shaped earbuds to help secure a tight fit in a variety of ear types. Compatible with H2O Audio Amphibx & X1 Waterproof Armbands, H2O Audio Waterproof Cases and standard 3.5mm headphone jacks used by Aquapac and Overboard Cases. See Product Review, Michael Phelps Video & Customer Testimonials.